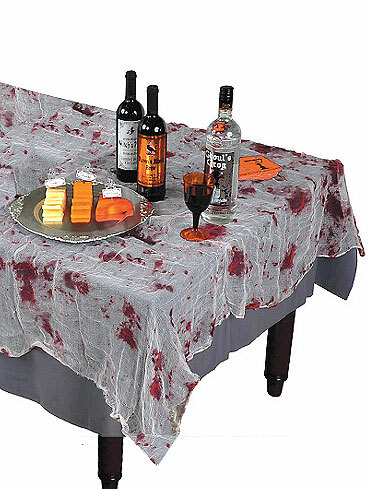 Drape this blood stained gauze over a table to make for a macabre table setting. Designed for one time use. Keep away from fire or intense heat. 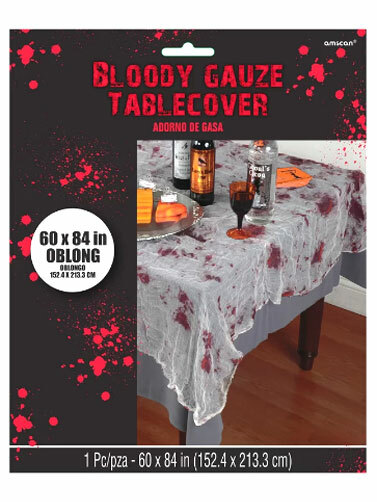 Bloody Gauze Table Cover is made for an oblong table and measures 60"L x 84"W.